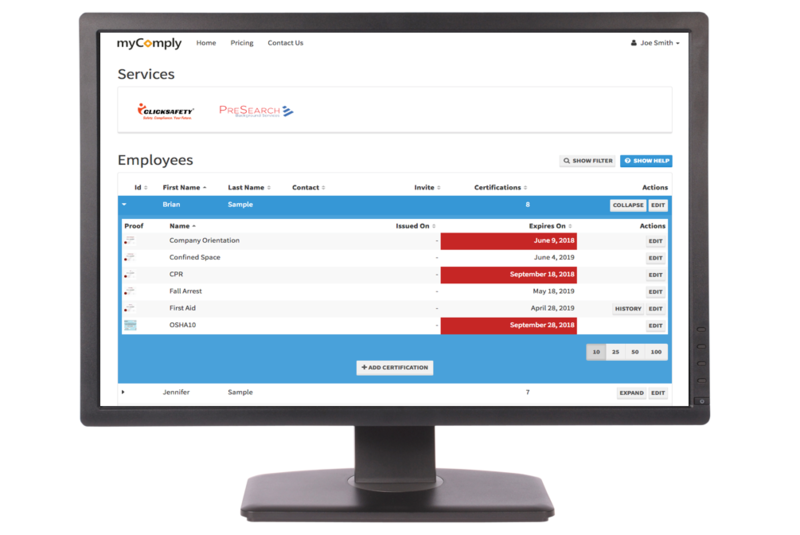 Store and manage all employee training certifications in the cloud. Create a profile for each employee and add their training certifications to store & manage online. Receive automatic notifications when employee training is nearing expiry. and have them download the myComply Worker App.